Dr. Megan Andeer grew up in the Fairmount section of Philadelphia and attended Philadelphia public schools (Bache, Masterman and finally Central High School ). After attending University of Massachusetts Amherst for undergraduate work she graduated from University of Pennsylvania’s school of Veterinary Medicine in 2001, where she was awarded the prize for patient care as well as for feline medicine (and where she initially met Dr Perner!) 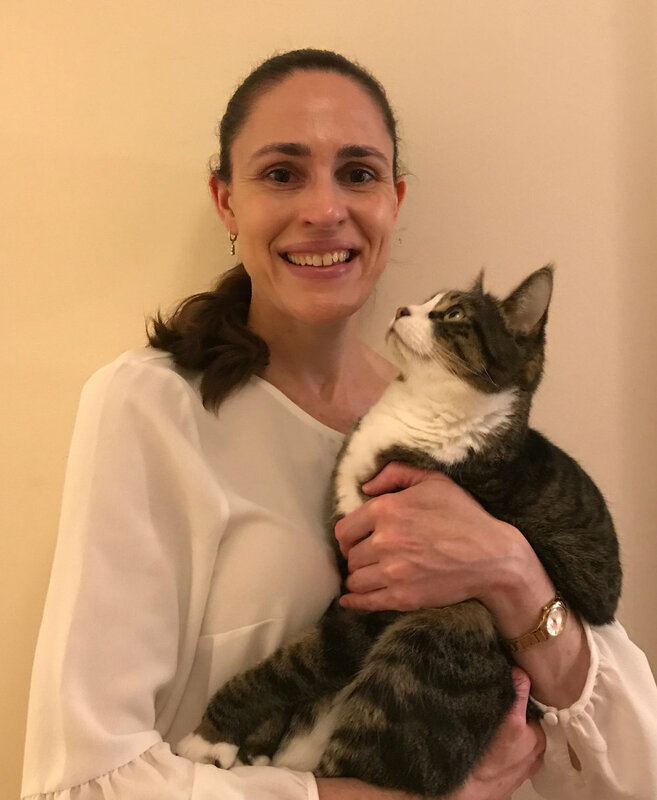 After completing a rotating internship at South Shore Animal Hospital outside of Boston, Dr. Andeer returned to Philadelphia to dedicate her career to feline medicine. Having worked as a feline practitioner since 2002, Dr. Andeer has also completed a course to become a certified veterinary acupuncturist. She joined City Cat Vets in 2016 to pursue her goals of working in and owning an independently owned veterinary hospital with Dr. Perner. Her special interests are oncology, geriatrics, dentistry and surgery as well as orange cats. She is a member of AAFP, the AVMA, and PVMA. In her free time she serves on the board for City Kitties Rescue, is a member of Friends of Nebinger to help support her neighborhood public school, is an avid runner, does crossfit and reads as much as she can. She shares her home in Bella Vista with her husband, daughter, and their five cats. Dr. Caroline Perner moved to the Philadelphia area in 1986 to attend Swarthmore College, where she dabbled in liberal arts and competed on the swim team for four years. 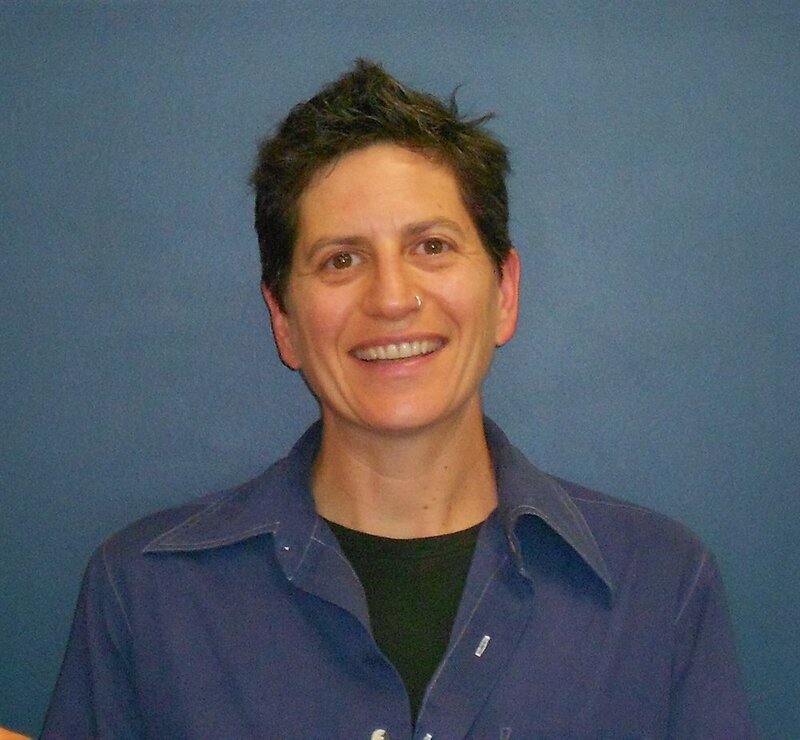 She began her career in veterinary medicine in 1992 as an emergency service technician at University of Pennsylvania. She remained at PennVet to receive her VMD in 2000, and completed a rotating internship in medicine and surgery in 2001. After one year as an emergency service clinician at VSEC in Langhorne, PA, she joined Dr. Howard Wellens at Queen Village Animal Hospital from 2002-2008 and 2010-2016. She currently lives in West Philadelphia with her husband, three human children, three cats and one large dog. She is thrilled to be part of the newly formed City Cat Vets team, and looks forward to many more years of caring for the most amazing creatures on Earth! After receiving an undergraduate degree in biochemistry from Harvard University, Dr. Elizabeth Knighton worked for a year as a volunteer elementary school teacher in Massachusetts. She then went on to obtain her veterinary degree from the University of Pennsylvania in 2000. In 2004, Dr. Knighton published an article in the Journal of the American Veterinary Medical Association describing a previously unrecognized genetic disorder that made her cat part-male and part-female. With the exception of one year in a cat/dog practice, Dr. Knighton has been working exclusively with cats since graduation. She is a member of the AAFP, AVMA, and PVMA. Dr. Knighton lives in the Fitler Square neighborhood with her husband, two sons, and two cats (both City Kitties rescues). In her free time, she enjoys taking ballet classes, walking the ever-expanding Schuylkill Trail, and taking advantage of all of Philadelphia’s cultural offerings. After spending 14 years caring for suburban cats, she is thrilled to be coming back to her Philadelphia neighborhood to join the City Cat Vets team! Dr. Basseches started out in the humanities but then realized that her heart belonged to animals and science. She changed paths in order to obtain her veterinary degree from NC State in 2003. Subsequently, she performed a private practice internship in Florida, followed by a residency in radiology at the University of Georgia, finishing up in 2007. She worked as a staff radiologist at Angell Animal Medical Center (MSPCA) in Boston for five years before traveling to the southern hemisphere as a locum radiologist, having the opportunity to work with a diverse range of species in varied and fabulous environments. When she came back to the United States, she moved to the Philadelphia area and has been at CARES for 5 years. She finds exotic radiology beautiful and stimulating, as well as grooving on the many facets of diagnostic imaging, getting to participate in almost all of the cases in the hospital and feeling like a critical part of the team helping our patients. Dr. Basseches loves being out of doors as much as possible and in almost any capacity (an antidote to days spent in the dark), enjoys both teaching and learning, frolicking with her dogs, critical thinking, science fiction and creative vegetarian cooking of the bounty from her garden. Kait has been in the Veterinary field for the past 12 years and has spent half of that time working in feline only practices. 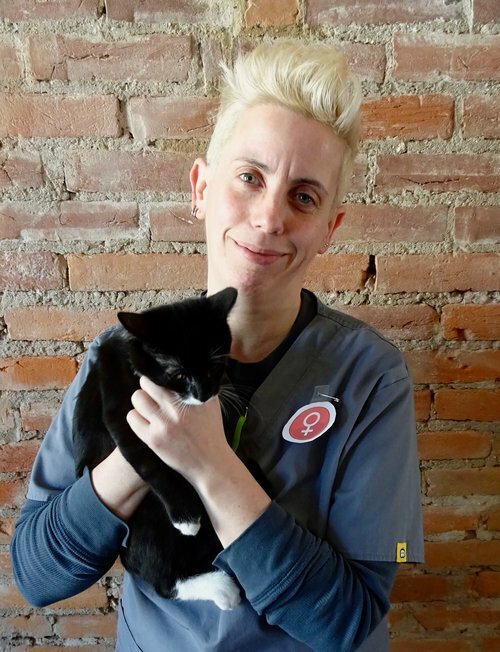 She is currently a board member of City Kitties Rescue and is working towards becoming a certified Veterinary Technician with a specialty in feline medicine. In her down time, she likes to spend time at her shore house with her pit bull Rufus and traveling as much as she can. 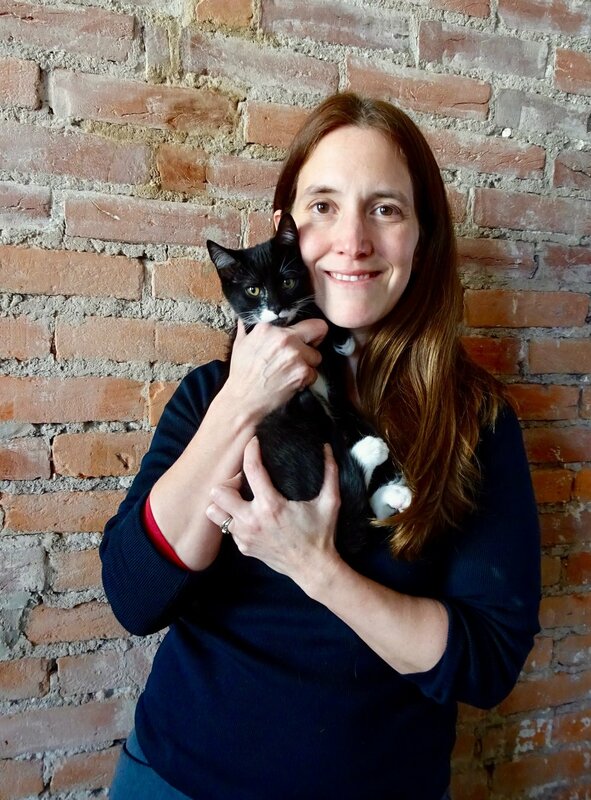 Lori has been working in the veterinary world in some capacity for twenty years, and has been focused on feline medicine and feline-friendly handling for the past fifteen years. In addition to her passion for making cats' visits as stress-free as possible and making sure they receive the best care, Lori enjoys photography and manages our social media accounts. When she's not working, she is a founder and board member of City Kitties Rescue, and loves bicycling, reading, photography, and spending time with her partner, their furry crew, and her redfoot tortoise, Trogdor the Burninator. Priscilla, a native upstate New Yorker has been a licensed Veterinary technician since graduating in 2004. She made the move to Philadelphia in 2006 and has worked in a neighborhood small animal practice ever since. She joined the CCV team in December 2016 and enjoys biking to work and the all female camaraderie. Priscilla lives in the Bella Vista neighborhood with her husband and two young, rambunctious boys. She's life long lover of cats and a collector of tattoos and a lover of tattoos of cats😺! In her down time, she enjoys sewing, crafting, and all things dance and is a self proclaimed Ballet nerd. Born and raised in the City of Brotherly Love, Ceil comes from a customer service/hospitality background. She finally found a home in the veterinary field four years ago and has never looked back. She especially enjoys meeting all the new feline patients and interacting with their human companions. When not at work she lives with three feline boys and enjoys playing video games and socializing with friends. A South Philly native, Linda always had some kind of pet. Hamsters, rabbits, birds, but most of all cats. People knew her love for them and that she was always available to help with everything from finding homes for orphaned kittens to caring for sick strays. She's always had a deep affection for nature and animals, which drive her to start working in the veterinary field in 1994. She loves helping people nearly as much as she loves animals, and she loves talking to and helping our clients with any kitty issue. Her time outside of work is spent with her dog, “Dante,” who is a constant companion, and her faith is important and is her greatest love. Linda truly enjoys coming to work every day and feels the doctors and staff are the best! She finds her job incredibly rewarding. Robert is a "Crazy Cat Guy," and he means that with love and adoration. He has been in the veterinary field for almost 20 years and has always been an advocate for animals and their human counterparts. He enjoys building relationships with pet families and their furry companions for continuity of care. In addition to animals and their welfare, he loves music, dancing, and thrift shopping. He has four cats that his shares his life with: Allister, Annabel, Emily, and Omar. (Yes -- He is married to his cats!) All are rescues from various places. Lizzy is thrilled to be the newest member of the City Cat Vets team, having joined in August 2018. She has been a dog bather, groomer, daycare attendant, and walker, as well as pet sitter and horseback riding instructor. She's thrilled to have found a home in the veterinary world. Lizzy lives in the Graduate Hospital neighborhood with her rescue kitty Lilith, who won't let her get any more pets right now. In her spare time, Lizzy enjoys cooking and eating, exploring Philly and beyond, (sort of) playing the ukulele, and singing with the Chestnut Street Singers, a local cooperative chamber chorus.